We receive lots of inquiries about students and their problems with writing. The connection between the tech age and writing is apt in this instance. We have great tools to enhance children’s learning, however while these tools are a standard in classrooms, how much time is actually spent in the quiet contemplation of writing by pen and hand. As I search for images of children writing, the most appealing are those taken outdoors surrounded by nature or in a warm cosy corner of a house. To me writing is an art form and one that has been forsaken in favour of technological tools that thrill a child’s visual senses. However are their senses being awakened to the detriment of an inherent creativity that lies within all of us. As a child I was an avid reader and writer. Without realisation, they provided me with priceless opportunities to grow in areas of self discovery, contemplation and self expression. As I speak with parents on the subject of the child’s reticence to write, I am grieved by the lack of emphasis on this skill in many classroom settings and carry a concern that it is a dying art. The huge issue however is this; children falter in their enjoyment of writing, they struggle with the development of ideas and an understanding for the structure of writing and how to engage the reader. How does this really affect a student’s performance at school? For many who read this short expose, they will wonder why it is so important to be a skilled craftsperson of pen and paper writing. My answer will always be twofold. On a personal level, handwriting is a creative act that uses a part of the brain that will be lost if not used. On a practical level, it is the medium by which we expect our children and youth to perform in examinations and thus the reason for the many inquiries I receive on this subject – children struggle with short and extended written answers in pen and paper examinations and how can WE help. 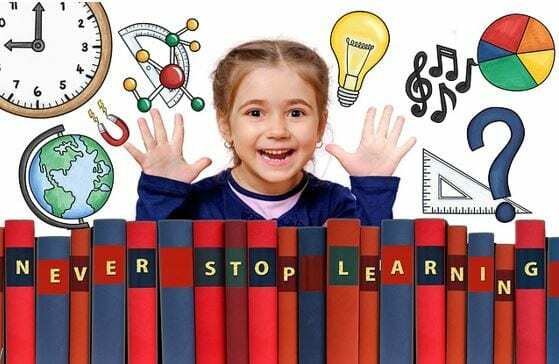 For further support and an understanding about methods you can use to assist your child OR how Nepean Tutoring can offer blocks of lessons to bring the writer in your child to the fore, you will find me excited to discuss this topic with you. Access the contact form at https://nepeantutoring.com.au/contact-us-2/ and I will schedule a time for a no obligation call. More than a tutoring business, Nepean Tutoring is a team of passionate educators with heart. We strive to provide the best individualised support for students regardless of age or ability level. Our tutoring team includes past and present teachers, disability support specialists, scientists, PhD graduates and industry professionals. We come with a diverse range of knowledge and experience but share a passion for education and learning. Find out more about our team of tutors and the services we offer. But more than just results, we strive to instil confidence and a love of learning in every student, setting them up for success in life regardless of which pathways they may take. Contact Ros on 0402339217 or read email us at nepeantutoring@gmail.com. We look forward to hearing from you! 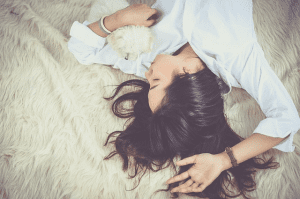 Why good sleep is essential for health, wellbeing and even academic success. It’s already more than half way through term one, and the heat is on for students in years 11 and 12. Assessments pile up, test times loom and the realities of senior years stress start to set in. While we always encourage our students to do regular revision and practise, sometimes the combination of super high expectations, tougher subject content and assessments can be truly overwhelming. At these times -more than any other- maintaining good health is essential. Having regular breaks, socialising, exercising, eating well, and of course getting enough sleep are essential to health and wellbeing. Sleep is one of the most important correlates in determining health, success, and mental wellbeing. Sleep is important for memory and learning. When we sleep our brain processes information from the day before and stores knowledge in our long-term memory. Additionally, a well-rested mind is a better functioning mind the next day; the better rested you are the better you can reason, think, remember, and process new information. Create a relaxing evening routine that works for you. This is something you should develop for yourself, we all have different needs, and it can take some time to find what really works for you. 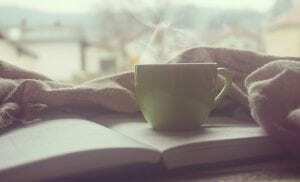 A relaxing bath, herbal tea, journaling or stream of consciousness writing (a technique where you write any and all words that come to mind without any self-editing), a podcast, guided meditation, yoga or cool evening walk can do wonders for clearing the brain and letting it know that now is the time to relax and get ready for rest. Start by imagining what things truly make you feel relaxed and see how you can adapt them to realistic nightly additions that work for you. Over time as these activities become habits, you will start to slip into a more regular routine with sleep. These activities will start to become triggers that let your brain know it is time to get ready for sleep. 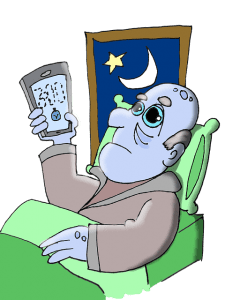 You’ve heard it a hundred times before, but the evidence is overwhelming(https://www.sleepfoundation.org/articles/how-blue-light-affects-kids-sleep) ; avoiding any blue light from phones laptops or TVs for at least an hour before you attempt to go to sleep is ESSENTIAL to having a solid nights zzz’s. The challenge is that our devices themselves are often used as a method of relaxation, and a way of easing stress. If we just check our calendar, our emails, or our social media accounts we can rest easy knowing all is sorted for today… right? The trick is to try and put these worries to bed, so to speak, well before you put yourself there. 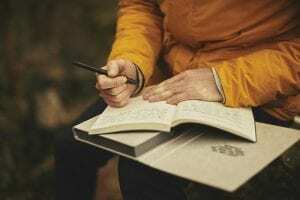 Physically tick items of a paper diary, to feel the sense that you have achieved what you needed to today, or at least have scheduled a time to do them in the future. Try an app blocker and/or website blocker for social media. There are many options that allow you to block these at only certain times of day, so you can still get your social fix without it upsetting those all-important twilight hours. And try journaling to get all those worrying thoughts out of your head so it can hit the pillow lighter tonight. While these cures may not work overnight – pun intended – with patience, practise, and most importantly self-kindness, eventually you will start to adapt to a routine of relaxation and device free evenings, allowing your body and mind to adapt a new natural rhythm towards sleep. A ‘growth mindset’ is the belief that abilities are developed over time, and any skill or area of knowledge can be developed with hard work and perseverance. A term coined by educational psychologist Dr Carol Dweck, growth mindset contrasts to the much more common ‘fixed mindset’ where we believe that abilities, cleverness, or knowledge is innate, fixed or stuck. “I’m a maths person” or “I just can’t do art”, are examples of a fixed mindset; regardless of whether the belief seems to be positive or negative the defining feature of a fixed mindset is that you believe your abilities are fixed or unchangeable with effort. You could think of a fixed mindset as a self-fulfilling prophesy. A child who doesn’t believe they can improve at maths has that hanging over their head in every maths class. Alternately thinking they can learn new things and ‘grow’ (growth mindset) will see them approach new information and classes with an open mind and positive attitude, setting them up for success with that new content, which in turn will reinforce the belief that they can do it. There is strong research to back up this theory. You can read more about it here or for a longer more in depth look, access to a book by Dr Dweck herself can be found here. Students were taught to hold a growth mindset for maths learning. Compared to the control group they showed a significant improvement in their actual maths ability over time. To read more about how to help students with maths in particular click here. 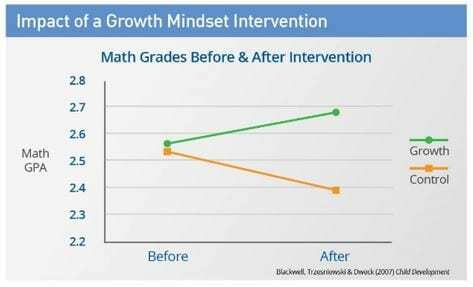 Growth mindset is also essential for high achievers, despite currently doing well in school these kids often show the strongest fixed mindsets of all. They have been taught to believe their smartness is inherent, rather than earnt through hard work. The tragedy is that eventually everyone faces challenges and without the belief that they can improve and the resilience a growth mindset gives, they crumble under pressure. With a growth mindset, you believe that you can improve, not that you are ‘smart’ or ‘gifted’, and in fact regardless of what level you are at or what hurdles you face, you believe you can improve and overcome. 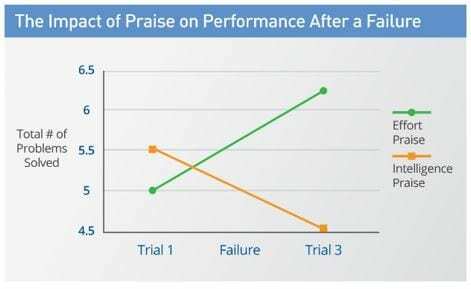 Students praised for hard work and effort (growth mindset) have been shown to persevere past failures, attempting more questions and showing more resilience than students praised on their intelligence levels alone (even if those students did better to begin with). So, what can we do to help students adopt a growth mindset? As teachers, parents, or tutors we need to consider the language we use. Are we building a growth mindset, or a fixed one? Avoid any language that implies that skills, knowledge, and abilities are fixed. Making mistakes is not only fine, but essential to the learning process. It is so common to see students (and sadly commonly girls) unable to bounce back from mistakes, being their own harshest critics and seeing every perceived ‘failure’ as evidence that they just can’t do it. Mistakes are part of the process of learning. It is normal to make mistakes, what makes someone ‘smart’ or good at a certain skill is only that they persisted through mistakes until they had mastered the skill! The simplest change we can make is in our language, and our own attitudes. Children pick up on our true beliefs and behaviours. If they see you challenge yourself, make mistakes, recover and learn, they might just do the same. The language we use to describe ourselves and our own beliefs about our abilities is so important too. Remember, it’s not that I can’t do that, I just can’t do it YET. It can be difficult to make this radical change in thought, or help a child to change their mindset, especially after experiencing failures in the past. However, it’s this radical shift we need to adopt in society and in education to enable the next generation of learners to hold strong growth mindsets – set to learn and grow for the future. To accomplish anything! 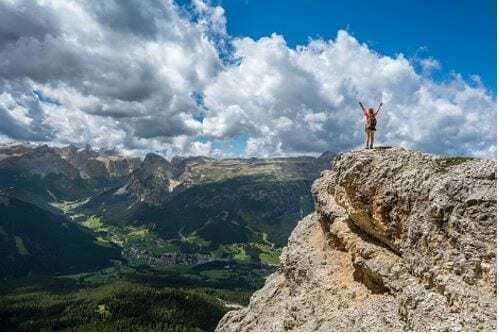 Mindset works have a great tool to think about and assess your own mindset right now, try it out here. Reading is an essential early skill that underpins so much future learning. But what can you do if reading really isn’t as easy as ‘a b c’ for your child? How can you help get them back on track with reading, preparing them for the years of education to come? 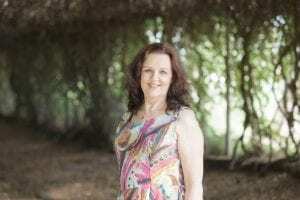 We interviewed Kathy Nolan, a reading recovery and learning support teacher to find out exactly what you can do to support the little one in your life with learning to read. Q: What’s the biggest barrier for children learning to read? A: Their own belief in themselves. I find its not until they start realising ‘oh I can do that’ that they start getting anywhere. It’s a struggle until then! The hardest and most important part of teaching children to read is making them believe that they can do it. Q: Ok, so how exactly do we make them believe they can do it? If you are going on a long journey you must look at a map first. Reading is the same, tell them where the story will go, and what will happen. Take time to sound out tricky words and practise new or difficult phrases. After all that you can start trying to read the book. Because the child knows what the story is about ahead of time they can comprehend what it is happening, and when reading they do some visual comprehension of the letters as well as guesswork to figure things out. Q: So, guesswork is ok? A: Yes, its encouraged! We want them to guess because this is building vital inferential skills. They can use the pictures or storyline to interpret what is going on. It makes them active, rather than passive learners because they are searching for the answer themselves. Learning is all about making mental connections and linking new information to things you already know. As you learn your brain literally builds new pathways between pieces of knowledge so making those connections between ideas is so important! To read more click here. You must always start with what they already know, no matter what level they are at. At the most basic level a child may only know their own name, but you can work with that! Have fun creating a short book with them; photograph them skipping, jumping, running, playing, and print out some pages with the words “John is running, John is skipping” in large print. If the child really can’t work out a word – help them straight away. If you let them struggle all the time that tells them that they can’t do it, which we want to avoid! You also don’t want to just give them the answer, then they aren’t doing any mental work at all. Instead give hints and prompts – getting progressively easier – until they get it. The challenge is figuring out exactly why they are struggling, what they know already, and what hints will get them to the right answer while making them do a lot of the thinking work themselves. Hints like; “rhymes with star” or “what was the blue thing we drew earlier? That’s right a car!” have the added benefit of creating those oh-so-important connections between bits of knowledge. 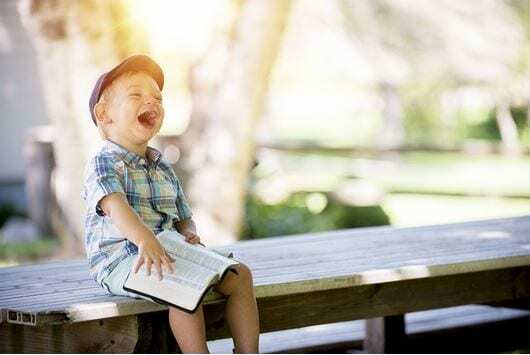 The more connections, the more neural pathways are built, and the more likely the child will remember the idea and how to read that word later. Eventually with patience children will start to realise “I can read!” Once they have that confidence their learning will accelerate and soon they will be keen reader. A: Children are world class mimickers. Point at the words as you read them one by one when reading to very young children; eventually you want to encourage them to mimic this behaviour when they start trying to read. Exposure is everything. Expose kids to many objects, words, shapes, images, ideas, and environments. Speak to them often and speak in front of them complexly. The more language and ideas they are exposed to, the more they will absorb and the more connections between ideas can be made.